WCC is proud to announce that we have a dance instructor, Dana Sparks, who teaches classes in our dance studio! Please give her a call or send her an email for more information on class schedules and pricing at InStepDanceCenter@sbcglobal.net or click here to view their class schedule and to register. Click this link to submit a request for a free trial class. 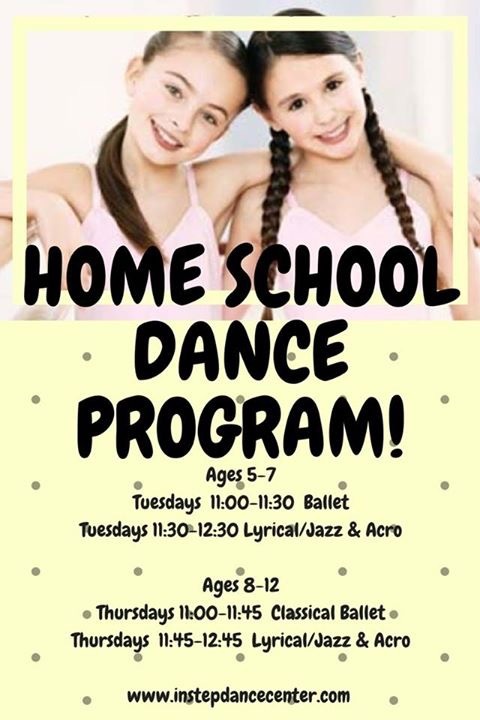 In-Step Dance is now offering classes for children who attend homeschool and need their PE credits fulfilled. Click the link below for additional information on class availability.